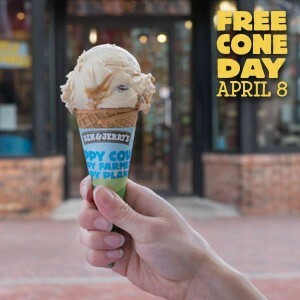 Don’t miss Ben & Jerry’s FREE cone day on April 8, 2014. Stop by for a FREE scoop of your favorite Ben & Jerry’s Ice Cream while supplies last. Find locations and times HERE. This entry was posted in Capital Region Deals, Freebies, Uncategorized. Bookmark the permalink.